Pimp Your N95 – v2! It has been a long long time since the Pimp Your N95 post. I was partially at work, traveling amongst other things. Didn’t have access to a computer for long periods… the works! However, I’m glad to say, I’m finally back and have the honor to present Pimp Your N95 – 2! Continuing from where i left off, here are a few more applications that deserve space on our precious smartphones, particularly the N95! I have tried to restrict myself to freeware applications and only two out of the eleven mentoned here are commercial apps! Loads of credit to the freeware application developers for making such high quality stuff! 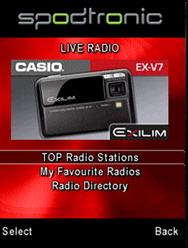 Spodtronic qualifies as a very comprehensive internet radio application and is helped by the fact that it’s a freeware! But the application is not without its flaws, the backlight always remains on and the application cannot be minimized! On a phone such as a N95 that’s a deadly combination! But the quality of streaming is nice on any connections upwards of EDGE. No harm in giving it space on the phone, after all we all sometimes get bored of the music we have on the phone. For more look here. This is really a must have application. It was only recently ported over for the S60 3rd edition phones. It offers a host features such as controlling the Windows Media Player, iTunes, Winamp etc. It also offers mouse control from the cell phone itself. The fact that it can be used to shutdown the computer along with helping the phone act as a proximity badge also helps in making it a must have! More on it here. I’m a big fan of the built in Safari Browser, but there are things which it simply cannot do. Safari cannot open new windows manually or to download files which are not supported on the phone. These sometimes are irritating. There are many a times when you are at a hotspot or otherwise and need a document or file which is in the say .rar format, Safari will refuse to download it. In comes Opera, with the ability to do this and a much better download manager. Another great application is ScanR, it has the ability to turn your camera phone into a scanner, copier, and fax. I’ve not used the fax service but the rest work great! The website claims it can clean photos of documents, whiteboards and business cards. Extract any text and contact information. Store, search and share online, they deliver too! The phone application is just basically a upload tool and the processing is done online. For the results too, a visit to the website is needed. All in all a good application to have! If you consider yourself an advanced user who’s not content with what is provided, this is the application you want! The best part being that it’s free! It is a great companion for Y-Browser. It is based on one main server which is made to implement various functionalities, which currently include process & tasks killing and changing file type mappings with File types plug-in module. The best part for me is the File Type mapping. A problem I had been facing after installing quickoffice was that my .txt files wont open as quickoffice messed with them. But with Y-Tasks that is history! Thanks for the application Dr. Jukka! For more look here. 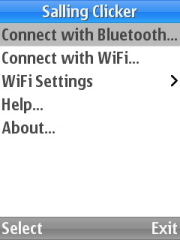 Bemused is a system which allows you to control your music collection from your phone, using Bluetooth. It requires a smartphone and a PC with a Bluetooth adapter running WinAmp. It is most useful if you happen to have a large music collection as it allows one to browse through the entire collection as if one was using windows explorer! It also allows shutting down the computer and downloading the songs from the computer to the phone without having to manually send it via Bluetooth! In my last post, I mentioned an application that turns a S60 v3 phone into a Bluetooth webcam. The drawback was that it was paid! However out come WWIGO (pronounced ‘vigo’) which stands for Webcam Wherever I Go. With wwigo, a camera phone can be used as a webcam with PC or Laptop using Bluetooth as the transmission medium. A definite must have! For more look here. There are two good freeware apps that are available for this purpose. One is NSysInfo and the other is Celltrack. Both of them give information based on the network, the phone etc. NsysInfo is useful to check whether one is on the home network or roaming near borders especially! It also gives information about the free ram etc, another nice freeware utility to have. For more info on Cell Track look here. MobiGenie is one of the most valuable utilities for any mobile phone user. With MobiGenie, you can manage your mobile phone world by a lot of integrated features, such as (answer machine, caller locator, SMS auto-reply, caller block etc). It was originally made available by Nokia for the E65 however it works perfectly on other S60 v3 phone too including the N95. Not a bad application to have for free! For more info look here. The Nokia Podcasting application allows you to find, subscribe to and download podcasts over the air with your Nokia N95. After downloading a podcast, you can listen to or watch it when you want. Podcasts are regular digital audio or video broadcasts that can be downloaded and played on mobile devices and personal computers. News agencies and other sources offer podcasts on a wide range of topics. Often podcasts are regularly updated in a series of new episodes, so users often subscribe to their favorite shows. User guide is here. Note: Most of this is valid for all S60 v3 phones such as the N93, N73, E90, E62 etc also. In case you feel i’ve missed out on something, just drop a comment and i’ll be happy to update! Previous PostCapture 3D Images With Your Phone!Next PostNew N95 Firmware 12.0.0.13 Available For India Product Codes! great stuff. was waiting for this update !! Glad u ppl liked it! Hey, thx for the update, much appreciated! Great stuff! Can you make a post on the games that utilize the N95’s OMA graphics processor to the fullest or atleast games that are fun to play and look gorgeous? is there a software for yahoo messenger? Hazel, sure. U can try Gizmo from the Nokia Beta Labs. That now supports yahoo messenger! great to see someone giving this phone the attention it deserves. Bingo mate, but sadly such an app isnt out yet! Hey Man Thanks For That Mobi Genie Application Tried It Out,Works Really Well. And A Well Written And Easy To Understand Blog Cheers To That Too Buddy. Can’t wait for PYN95 v3! Great work – what is the best IM app you have tried? Agile Messenger is really good. However if u’r looking for a free alternative then fring is not bad. Gizmo from nokia beta labs is also an option. Mehul, There seems to be a problem with the signing of the application. Did you allow access to all apps in the certificate while signing the app? Great blog man… lots of cool stuff in here…just wanted to know if there is a free remote control software (like the ir remote) for the N95.. Thanks! Not yet. However a paid for version is in the works! can you tell me exactly, what site i could download the yahoo messenger? i mean, gizmo, right? Great info you have here..
Is the N95 really delicate or are the looks deceiving..?? Also, since the person who got the phone to me gave me only the charger and phone…!! no other accesories ( usb cable, headphone, tv cable not even the leather cover..! ). Any idea how much the bundle will cost in India..?? Great site…loads of info.. and thanks for the motvik link… am trying to download it for the 6270… however am trying to figure out ( since they dont have 6270 on their site ) which phone’s software is same as the 6270.. any pointers on that..?? Thanks Jay.. Well first of all 6270 isn’t symbian so it can’t use that software, sorry! N the N95’s not that delicate. The paint from the keys starts to go off after a while as is with most phones, however the slide’s held for me. The accessories won’t b easily available. Any standard mini USB cable from u’r digi cam etc will work. Same with headphones. The tv out cable the nokia care center ppl can help you out with. N the case i don’t think is separately available! If you are goin to get nokia headphones, then get the N91 ones. Thanks for your help.. have kept the N95 as of now ( have kept the 6270) as a backup. Great.. However any set of 3.5mm headphones work! Superb again! Well done on another great site. Off the wall question not expecting a response…. any idea when detailed maps of China might be available? I know that this is probably not something you would know but it would be great if Nokia Maps came out with maps of China. Of course, if you can recommend any other GPS systems that I could load on to the N95 that may be compatible, that would be great. I can’t get my GPS to work in China. Works great in Australia where the maps are pinpoin accurate for all major cities. Nokia maps irritated me because of the forced sales-pitch. I am using two free alternatives (with voice navigation) and great maps. One even has photo overlays similar to Google maps (Google gets some maps from the same supplier). Try out http://www.amazegps.com and http://www.nav4all.org (not sure if they work in China, but it’s worth a try). Nice post, but i have to say SCAN R is not a freeware. its free to try. So might wanna make some changes in your post. Thanks for the heads up.. Have u been asked to pay while using the service? Somehow i was never.. Although its been a while since i did. Thanks Andi I’ll give it a whirl…. Can ‘WWIGO’ be used wid a USB cable?? plz suggest man cuz my comp dus not have a blue-tooth module..
Nope. No USB support as yet. However Mobiola is an option. Cracking update, i just turned my comp moff using it! The above software will work on your device also. Just download and install. omg you made me realize that opera could double as a download manager! !i’d almost throw my N95 out of my window cuz it can’t download .rar files, which is usually used for binpda software.Thank you man!!! Wats a good freeware app for .txt .doc .lit and .pdf files? If possible .mobi as well. is there a software for n73 so that the camera shutter get silenced when taking a pic? there’s a s/w called cCam but the zoom and other options simply don’t work. Hi again, Is there an application which will allow the N95 or other phone to be used as a webcam through USB rather than bluetooth? I’ve got a corporate computer from which the bluetooth function was removed so all I got is USB. Pelachi, Try mobiola webcam v2. It supports both usb and bluetooth. I’ve personally never used usb though. hi, please can you help me ?… I realy like the face warp on the sony ericsson any way that you can put it on the N95 8gb? Hi mate. First of all congratulations on such a fine work. Back to work, can you help me on this – I am unable to download .torrent files directly on my N81. I have tried both, the normal browser as well as opera mini4 and opera mini3. Neither works. Anything that you have a say about?